There’s no doubt: it’s a snow drought, and records are falling like…well, like snowflakes should be falling. Wednesday we broke the record number of days without a 1-inch snowfall (319). Last weekend we broke the 1940 record of 313 straight days with less than 1 inch of snow on the ground. Just 1.3 inches of snow (more near the lake) has fallen to date, compared to the norm of 11 inches. It made us wonder: what does a snow drought mean for your garden? To find out, we talked with Boyce Tankersley, our director of living plant documentation. 2. Soil compacts. In a normal year, it rains in November, so the moist ground freezes as temperatures drop. Ice crystals form in the soil. As winter progresses, snow piles up, preventing wind from reaching the frozen moisture in the ground. With spring thaws, ground ice melts, creating air pockets and naturally looser soil. In short, Tankersley says, “winter is good for gardens.” Without that rain/freeze/thaw cycle, air spaces can’t form in the soil, so it collapses and compacts, requiring mechanical tilling to loosen it up again. 3. Plants get stressed beyond capacity. In 2012, plants endured an early spring with a late frost, followed by summer and fall drought, and now, snow drought. 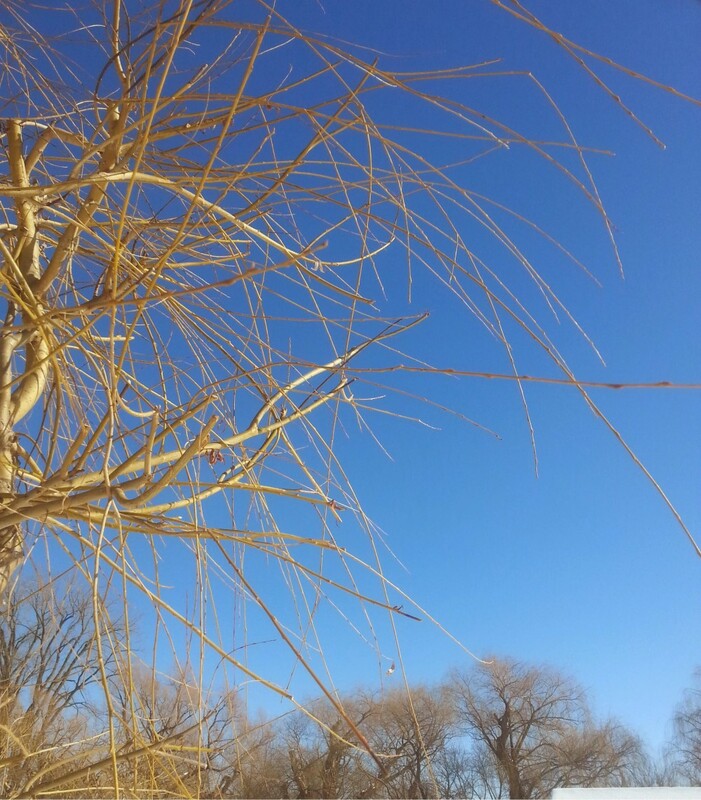 There’s a real risk of winterkill—the term used when plants succumb to winter conditions. “Check trees and shrubs for buds in early May,” Tankersley suggests, “especially non-natives like Magnolia soulangeana, which is particularly susceptible to winterkill.” Even well-established, old trees can succumb—forever changing yards and neighborhoods. 1. Mulch. Like a thick blanket, mulch holds in moisture and creates a layer of insulation for soil. Tankersley’s choice in his own yard? Oak leaf mulch. Why? “The leaves decay slowly, so they release nutrients into the soil over time.” Other options: chopped up plant material from your yard (non-diseased, please), or scattered straw. 2. Add native plants in spring. Natives are already naturally adapted to outside-of-the-bell-curve extremes, with some sporting roots 15 to 20 feet deep. Compare that to a typical landscape plant with roots just 6 inches deep. 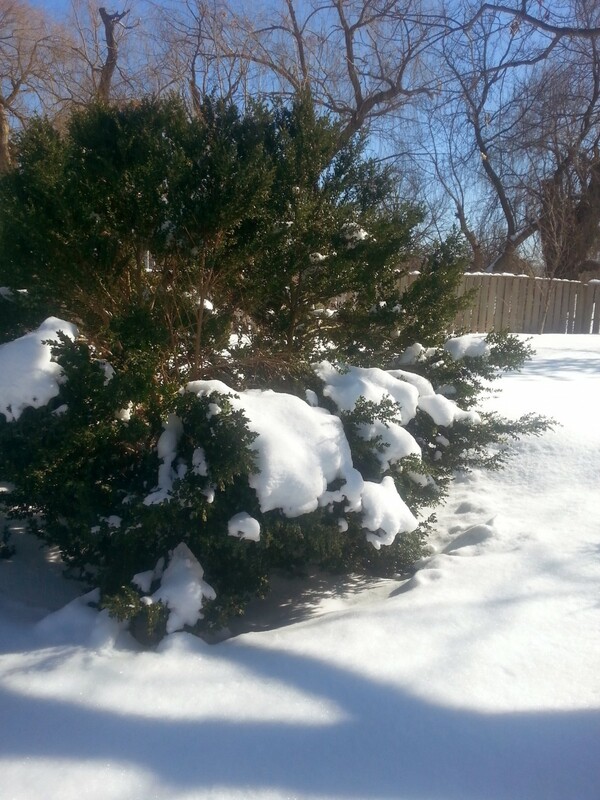 Posted on January 14, 2013 January 3, 2014 Author Karen Z.Categories EcoTips, Plant Science & ConservationTags shrubs, snow, trees, watering, winter garden3 Comments on Updated: Snow Drought! 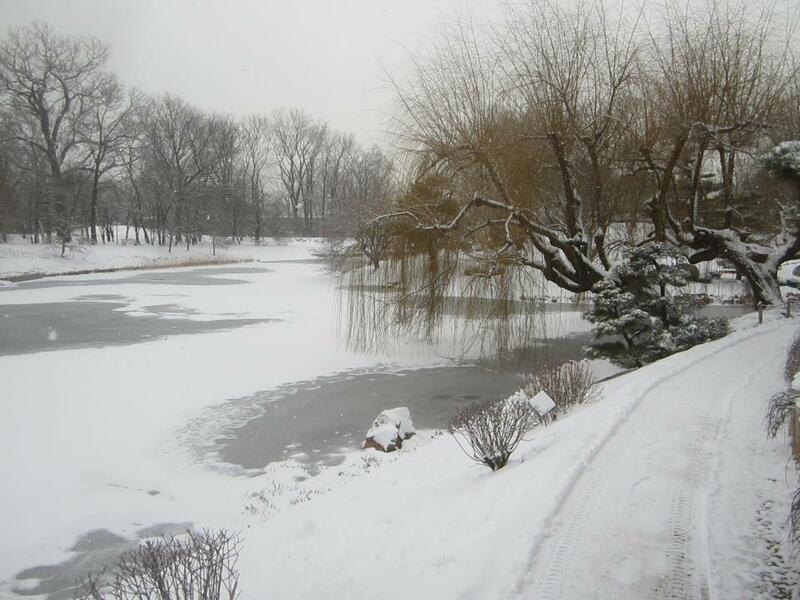 While many city-dwellers might be noticing a serious lack of snow this season, winter finally arrived at Chicago Botanic Garden last week. 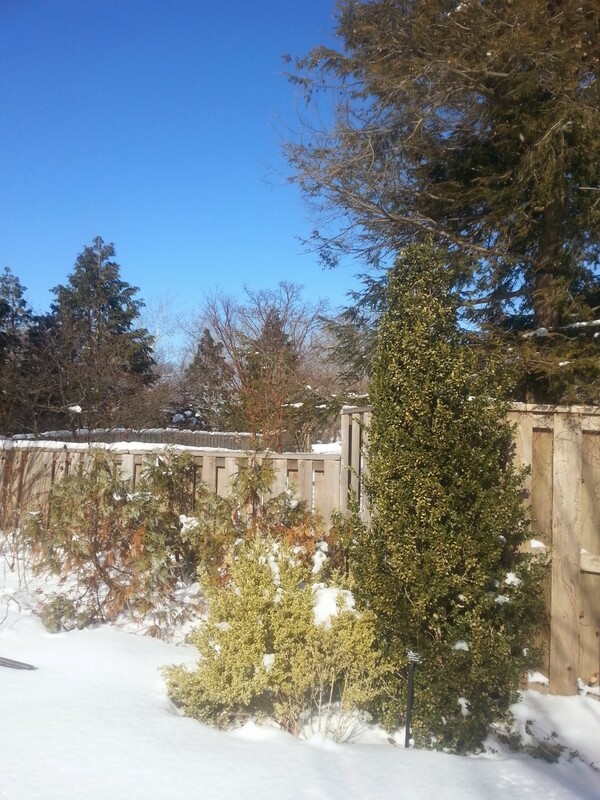 The first significant snowfall of the season gave the Garden a perfect white coat for winter. What better reason for a walk through the Malott Japanese Garden? Many consider winter to be the Japanese Garden’s most beautiful season. Its design emphasizes nature’s forms like clouds, stones and hills. In winter, pruned magnolias, azaleas, forsythia, quince, as well as smooth lumps of yews and junipers, resemble white boulders or fluffy clouds. Open-pruned pines, wired to maximize long and borrowed views, are natural snow catchers, offering up their own cushions of snow. Even the lanterns are designed to catch and display light snowfall. To learn more about celebrating winter in Japanese culture, be sure to check out the Three Friends of Winter show, held at the end of January each year.